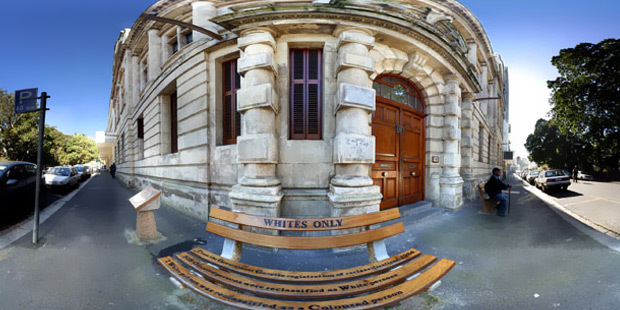 Artist Roderick Sauls says of the benches that now sit outside the old Race Classification Appeal Board in Cape Town that he wanted to remind people of the humiliation caused by South Africa’s racially charged past — but without giving offence. In the 1960s, a room in what is now the High Court Annex was the scene of formal hearings of the most bizarre and humiliating kind as ordinary people came before an appeal panel to argue about what "race" they should be labelled. Between 1950 and 1991, apartheid's Population Registration Act classified every South African as belonging to one of at least seven "races" and accordingly granted or denied them citizenship rights on a sliding scale from "White" (full rights) to "Bantu" (with the fewest). The classification was subjective, and families were split apart when paler or darker skinned children or parents - or those with curlier hair, or different features - were placed in separate categories. With the introduction of the Population Registration Act in 1950, the state tried to classify the entire population into fixed "race" groups. 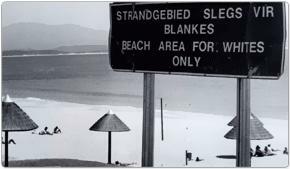 Separate public benches for separate race groups were one "symptom" of the apartheid era. Read the most important clauses of the Population Registration Act — the Act that developed the legal framework by which individuals were classified according to race and ethnicity. An extract from the cross-examination of Oscar Henry Felton, who was being accused of "passing" for white, gives a sense of the heated nature of race-classification hearings. Your identity number was no ordinary serial number: details about your gender, race and ethnicity were contained in this number. "I was shunned by my family"
Race classification and racism in South Africa affected not only individuals, but entire families. The apartheid paper trail often wound into thickets of absurdity. Those who were not registered or classified according to official procedures were considered to be non-existent, and could not access any of the resources granted to citizens. Roderick Sauls was born in District Six, Cape Town, his most enduring and intimate subject. He grew up on the Cape Flats. Roderick Sauls wanted to remind people of the humiliation caused by South Africa’s racially charged past, without giving offence. "Even the Cango Caves had a separate entrance for black people." In this lesson plan, learners will have the chance to interact with information from clauses of the Population Registration Act of 1950 as well as from various legal records associated with two cases of people appealing for reclassification.